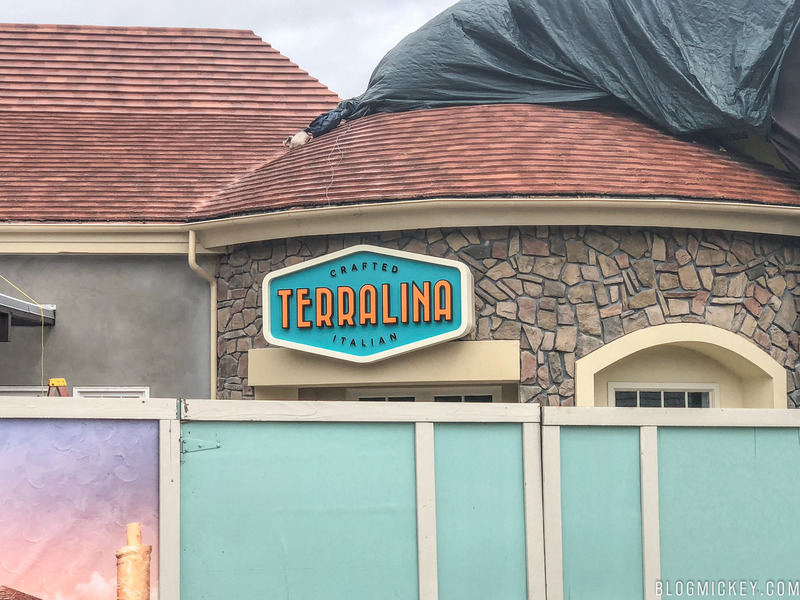 Construction on Terralina Crafted Italian is nearing completion at Disney Springs. 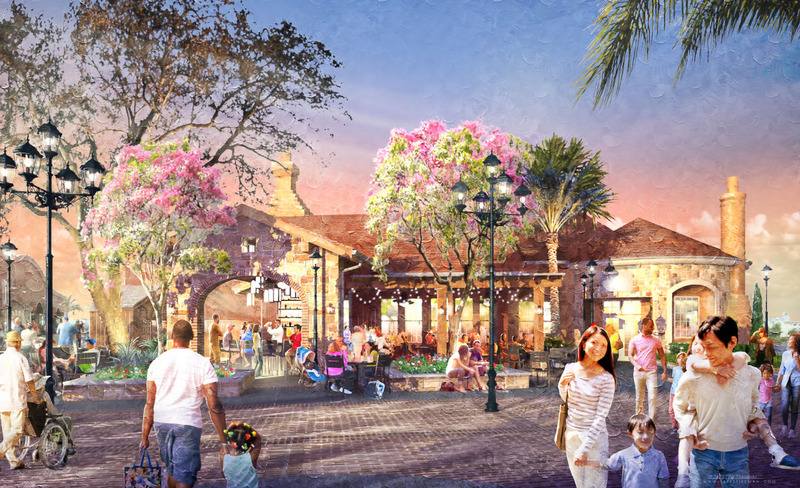 The Portobello replacement is currently scheduled to open July 30th, according to the official Walt Disney World website. 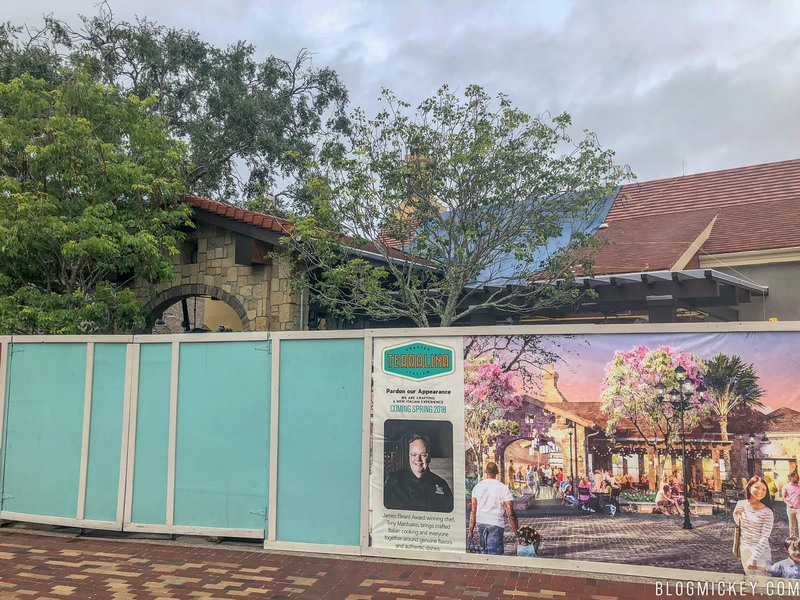 Construction has progressed nicely in the past few weeks, with the exterior bar now enclosed by a newly built structure. 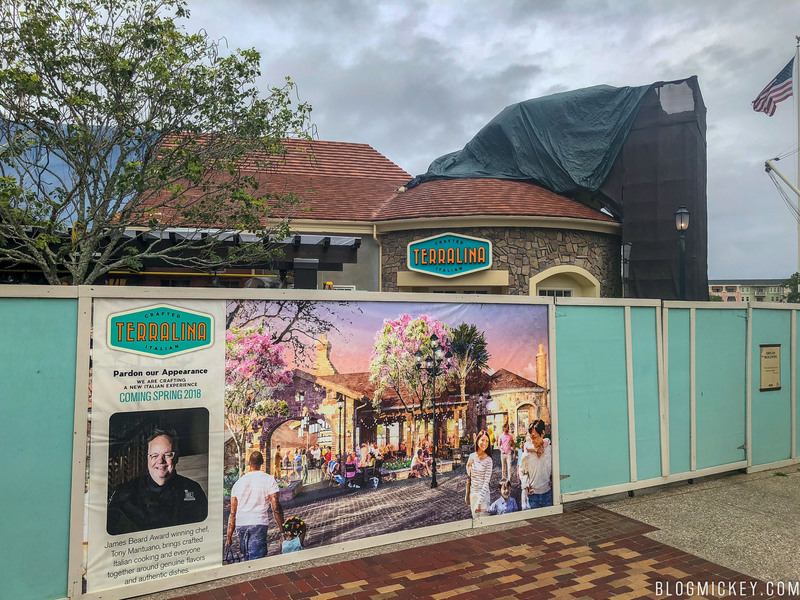 Nearby, the sign for the new eatery has been installed. 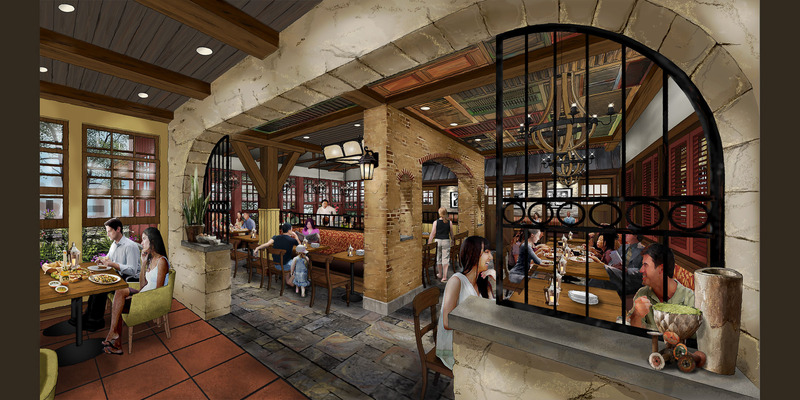 Here’s a look back at the concept art for the re-imagining of the space. Click through for a look at the full menu and pricing.